Let Go! 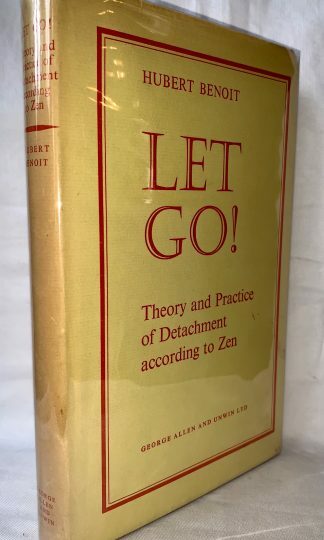 Theory and Practice of Detachment According to Zen, published in 1962. Sections Include: Preparation for Sudden Illumination, Outer and Inner Perception Sensing and Feeling, The Birth of Thought, Conscious and Impartial Thought, The Three Cosmic Planes, The Conflict of Human Life, The Inner Lacerations of Man, The Illusory Enigma of Death, The Hierarchy of Psychomotive Power, The Word, Non-Convergent Language, The Approach of Satori, etc. etc. Hardcover with original jacket with light shelfwear only. 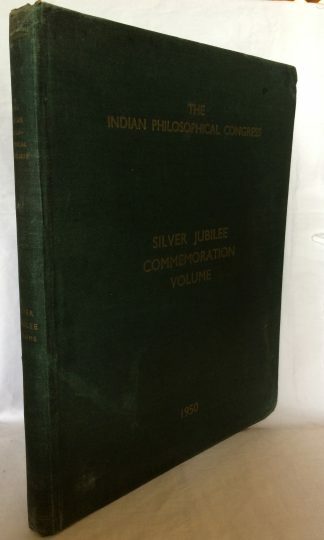 The Indian Philosophical Congress: Silver Jubilee Commemoration Volume, published in 1950. Sections Include: Hinduism by S.C. Chatterjee, Logic and Metaphysics Traditional Epistemology by A.C. Mukerji, Zoastrianism by M.N. Dhalla, The Indian Conception of Life by Sri Aurobindo, Philosophy as an Autonomous Spiritual Activity by R. Das, Symbolism in Religion by D.M. Datta, Guru Cult by K.G. Mashruwala, etc. etc. etc. Hardcover, oversized with shelfwear to corners and ends. 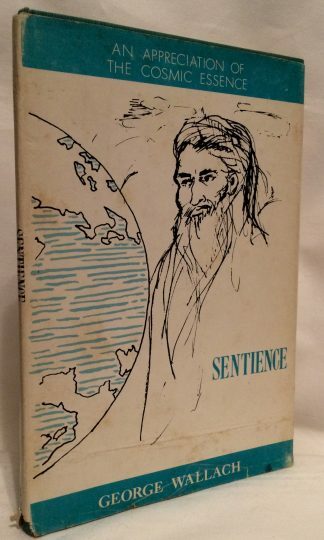 Sentience by George Wallace, published in 1969. “A meditation of immense refinement and characterful, scientific acumen, SENTIENCE might be acutely subtitled A Glimpse and Appreciation of the Cosmic Essence. 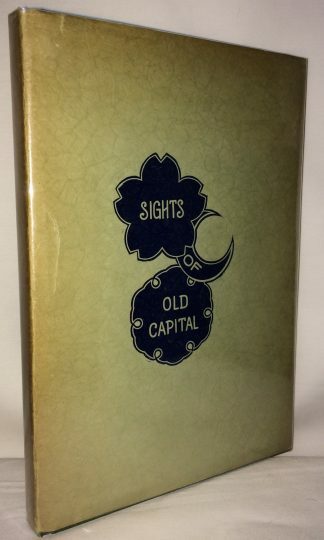 It is this ground base behind the filters of appearance that is the very base of existence itself which Mr. Wallach philosophically gives the reader cognizance of.” Hardcover with original jacket with shelfwear to corners and ends jacket only. 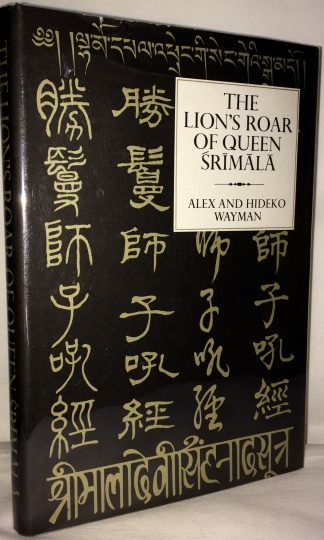 The Lion’s Roar of Queen Srimala: A Buddhist Scripture on the Tathagatagarbha Theory by Alex and Hideko Wayman, published in 1974. This work is the chief scriptural authority in India for the thoery that all sentient beings have the potentiality of Buddhahood. 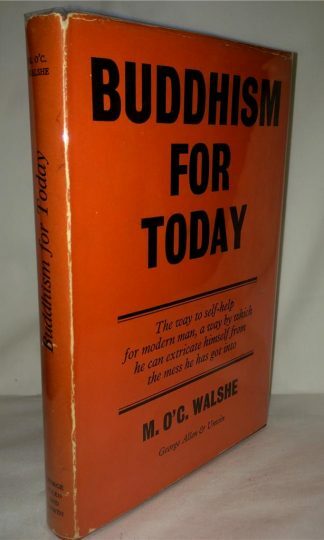 “The text treats lay Buddhism in terms of the Mahayana hero known as the bodhisattva. It presents unusual difficult problems to the translator because the original Sanskrit version no longer exists except for some citations.” A near fine copy hardcover in the original jacket with only the very lightest shelfwear. 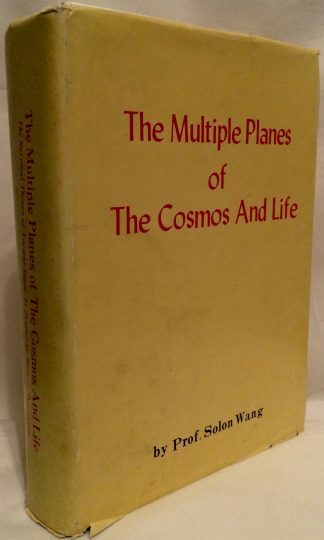 The Multiple Planes of The Cosmos And Life: The Survival Theory of Ancient Sages as Proved by Modern Psychicists by Professor Solon Wang, published in 1979. Sections Include: Multiple Plane Cosmos and the Sages and Philosophers Return to Reality, Absolute and Relative Cosmos, Circulation of the Two Cosmos-The Amphibian Gods, The Multiple Levels of Human Soul Body and the Return of the Sages and Philosophers with Innate Wisdom to Reality, Sakyamuni and Jesus as Representatives of the Eastern and Western Amphibian Gods, Ecstasy Reached with Teachers and Drug’s Aid, Common Peoples Transmigration in Six Ways or the Pursuit of Illusion, Spirits Coming From the Surface of the Earth, Death: Shaking Off the Fleshly Body and Return to the Six Ways, Indirect Apparition of Ghost After Death, Ghosts, Sprites and Demons, etc. etc. etc. Hardcover with original jacket with light shelfwear to corners and edges of jacket. Sights of Old Capital by Aisaburo Akiyama, published in 1930 by the Japan Tourist Bureau. Sections Include: A Historical Outline of Kyoto, Arashiyama, Botanical Gardens, Butokuden, Imperial Mausoleum, Imperial Palace, Katsura Summer Palace, Kitano Jinsha, Nijo Detached Palace, Mt. Atago,Nishinjin, etc. etc. Hardcover with original jacket with very light shelfwear only. A beautiful copy of this work. Previous owners name stamped on title page. 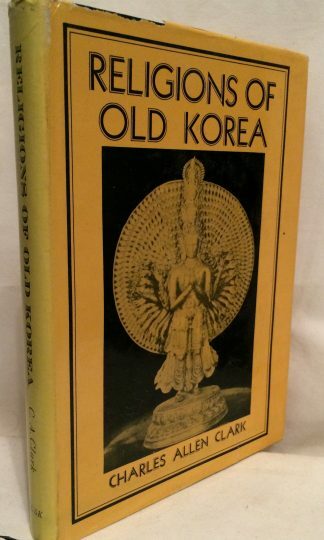 Religions of Old Korea by Charles Allen Clark, published in 1961. Sections Include: Buddhism, Miscellaneous Cults, The Chuntokyo Cult, Shamanism, First Contacts with Christianity in Old Korea, The Bible of Shamanism, etc. etc. Hardcover with original jacket with light sheflwear to jacket. 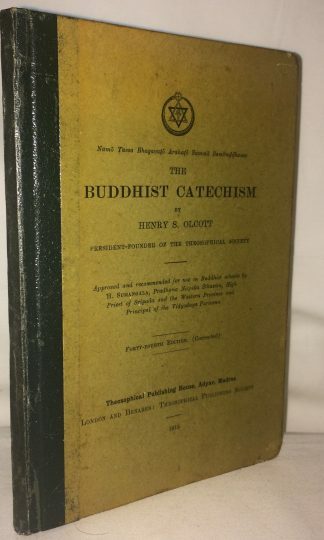 The Buddhist Catechism by Henry S. Olcott president-founder of the Theosphical Society, published in 1915. Sections Include: The Life of the Buddha, The Dharma or Doctrine, The Sangha, The Rise and Spread of Buddhism, Buddhism and Science, etc. etc. Hardcover with shelfwear to corners and ends. 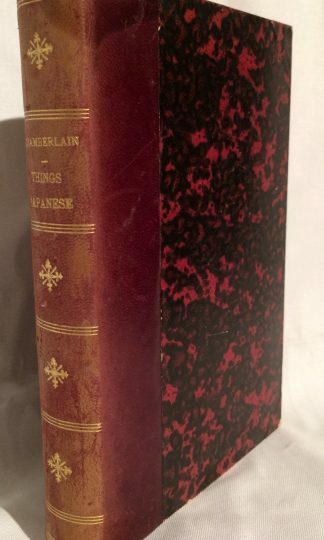 Things Japanese Being Notes on Various Subjects Connected with Japan for the Use of Travellers and Others by Basil Hall Chamberlain, published in 1898. Sections on Shinto, Classes of Japanese Society, The Mikado, Shinto, etc. Hardcover with quarter leather binding with calf spine and marbled paper covered boards. Shelfwear to corners and ends. Small margin tear on preface and small tears to the creases of a large found out map of Japan at rear of book. 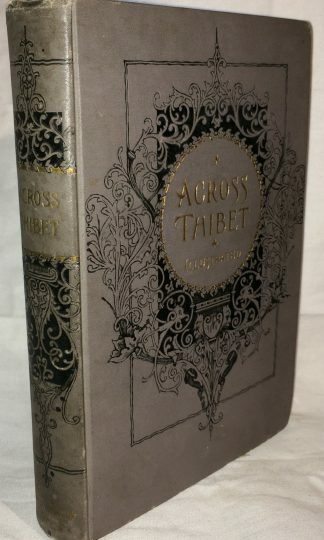 Across Thibet by Gabriel Bonvalot, published in 1892. With Illustrations from Photographs Taken by Prince Henry of Orleans. Sections Include: Abdullah The Interpreter, Arrival at Djarkent, To Tcharkalik, In the Bazaar, An Excursion to Lob Nor, A Region of Salt, Wild Camels, Among the Thibetans, Awaiting Orders from Lhassa, So and It’s Monestary, The River Ourtchou, A Hermit Lama, etc. etc. etc. Hardcover with decorative embossed boards with light shelfwear only. 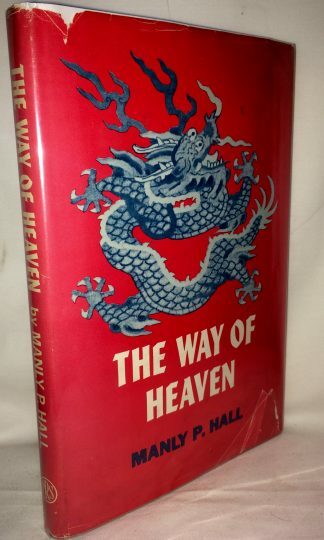 The Way of Heaven and Other Fantasies Told In the Manner of the Chinese by Manly P. Hall, published in 1946. Hardcover with original jacket. Shelfwear to jacket else good. 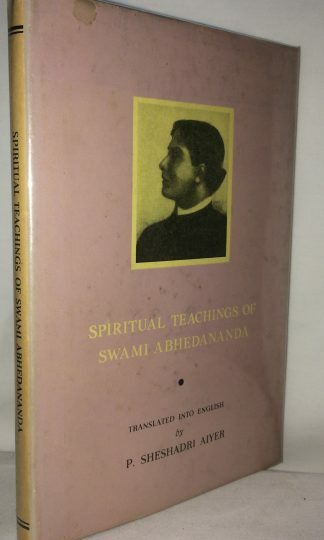 Spiritual Teachings of Swami Abhedananda Translated into English by P. Sheshadri Aiyer, published in 1962. The teachings of the founder of the Vedanta Society and a direct disciple of the 19th century mystic Ramakrishna Paramahansa. Previous owners inscription on endsheet. Hardcover with original jacket with light shelfwear only.